Do you ever read a book and wonder how the writer made you fall in love with their characters so well? Being able to build strong characters takes a lot of pre-planning and TONS of practice, but it is a skill you can learn. I have a story that I’ve been working on for around four years. The characters are really well developed, however, there was something missing. So I did a wicked thing, and killed off a character–not actually kill since it’s a kids book though! I knew for a long time that this character wasn’t working. She was a fine enough person, but there needed to be more. So I had to replace her with a stronger character. And here’s how I did that. We all want to make characters that make us bawl our eyes out, like Auggie from Wonder. Or feel so empowered, like Katniss in the Hunger Games. Or even get a crush on, like Edward in Twilight–trust me, ALL of my friends and I had a crush on him at 16. Lisa Cron is a GENIUS when it comes to teaching you how to build strong characters! Start by Creating a Character Card. To really get into someone’s head, you have to take time to get to know them. And the same is for your characters. 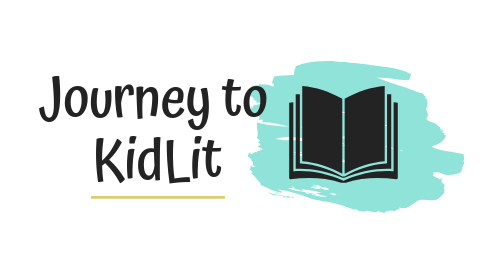 Even if you’re plotting a picture book, you should know who your story is about. This is deeper than physical appearance and their name. This is about their hopes, dreams, fears, etc. 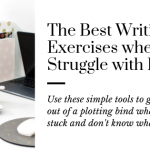 All of this information will come together to build strong characters that will manipulate your plot line and keep the reader reading. What is their family dynamic? What’s their opinion on school? What lesson will they learn? What are their favorite things? This is a great list to start with. If you want some more questions to add to your list, Plot Perfect by Paula Munier has the BEST list! 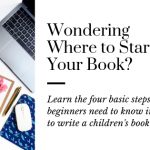 But you will need to ajust some of the questions to make your character kid-appropriate. 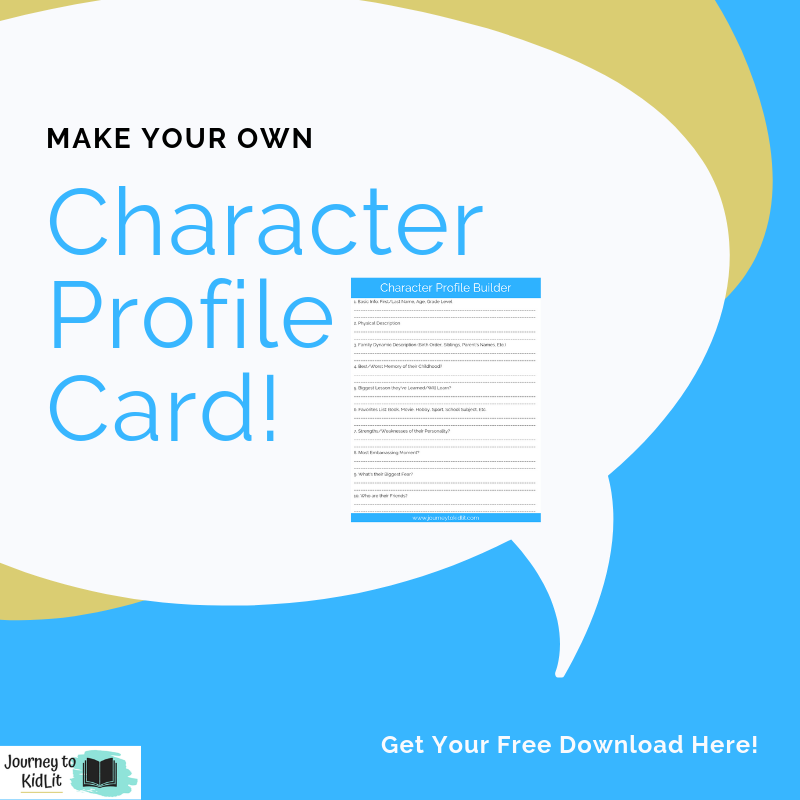 Download the Free Character Profile Card Here! I will write my list in my notebook when I’m starting to plan my novel. However, I also like to create a giant poster board when I have a series I’m working on or really want to visualize a character. **Note: Be sure to make a card for ALL of your characters. Not just your main character. This will be a way to build strong characters for your whole story. Choose to Think Like Your Character. After you create your story cards, you can start writing. And the best way to build strong characters on paper is to think like them in your head. I like to sit and visualize the action of my characters–Normally in bed instead of falling asleep 🙈. Especially, if I’m stuck on a scene. It helps me see what they’re doing and if it fits their personality. 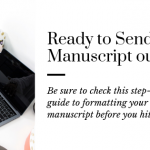 When you’re working through your manuscript, you will want to look at certain areas to make sure the voice is consistent and authentic with the character you’ve crafted. Dialogue: Does everything they say, sound like your character? Thoughts: Do they think the same way they should act and feel according to the character you crafted? Actions: Do they act the same way they should every time? Internal motive: Is there internal motivator present throughout the story? Did you make sure to give them one? What to do when your character isn’t working. Check their internal motive- A lot of times, we forget to give our secondary characters a reason to be there. But think about your own life, everyone you know has a reason for living and a belief that is their reason for doing everything. Increase the stakes- If you have an internal motive, but it’s pretty vague or weak, then your story might benefit if you increased the result. They can’t just want to win the race, they HAVE to win or else. Play with a gender or description swap-If there’s a signifying characteristic about them that’s coming across too stereotypical or doesn’t balance your story, consider swapping it. Stories are good when there’s a balance. Consider cutting them out- Sometimes we add too many characters, that the story tends to drag. If you have a character, and they don’t serve a purpose, it would be best to eliminate them. Everyone needs to move the story forward. Characters are just people you can’t see. Remember that when you’re telling your story. They should feel real to you and the readers! Key takeaways to build strong characters, includes keeping them authentic, consistent, and knowing all about them. Use your character card to keep track of all of their information! And for more in-dpeth learning on character building, check out Story Genius by Lisa Cron and Plot Perfect by Paula Munier. PS. Do you want to create your own character profile card? Get the free download here. Start building your own strong characters today. 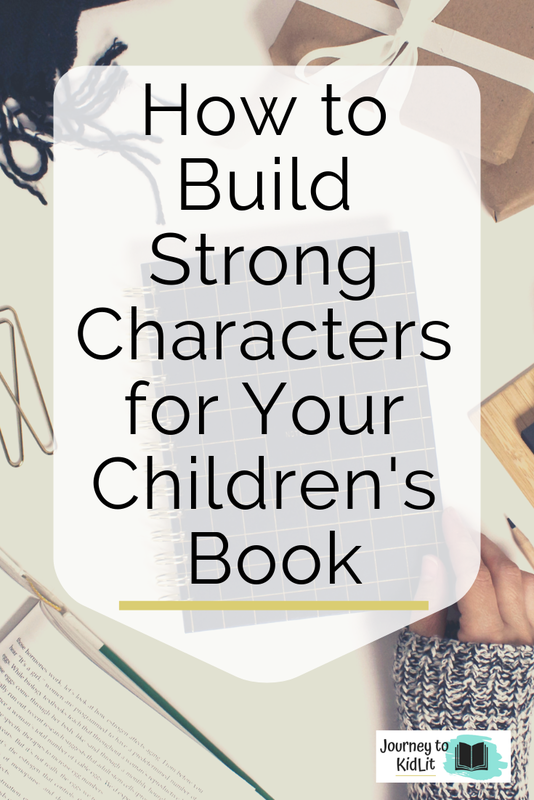 Use these Tips to Build Strong Characters!